Great stats for the cost, and that battlecry is HUGE value. Bad, like most of the warlock's legendaries. At least the art is cool. I hope to not find it. I guess we'll see what new legendaries this expansion brings. With some of the weaker legendaries rotating out (such as 7 mana 1/1 Lynessa, or 9 mana 3/3 Dragoncaller Alanna), it might not be bad. Certainly not a meta-defining card, but maybe something to have some fun with. Okay, so I know what you're thinking - this card is kinda bad. And yeah, it is. I mean, the legendaries are random. However, it's probably the most fun card I've ever seen in the game - just flat out, no conditions, change your deck. I'm sorry, but I LOVE this, and will be memeing it into all my warlock decks no matter what you people say. It's a last resort card. I love it. Strong finisher possibly, and a great statline. But previously "huge value cards" like this haven't really worked out. Depends on what an average legendary is like after the rotation. Very strong in arena as a finisher! I've expected something more creative for this guy. 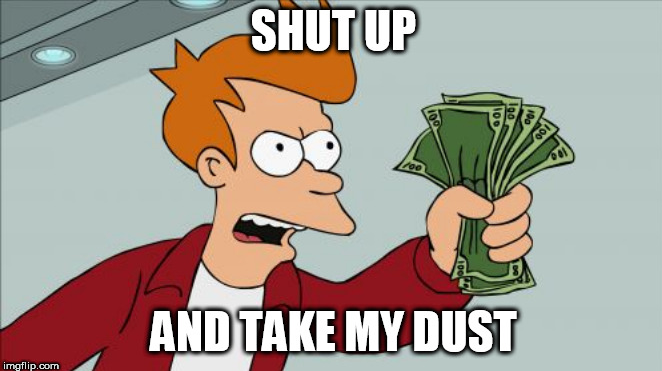 Something about stealing or villain gathering. The thing is Warlock already have more consistant a control matchup winner in Jaraxuss. Maybe this one as a backup if you afraid of burn decks? Also, golden Rafaam gives you all golden legendaries, right? That's fun. Its the Golden Monkey effect (plus Golden Kobold also worked similarly). Very flavorful given Rafaam was originally from LoE AND he is working alongside Toggwaggle now. Ok ok blizzard, i will return to the game. You convinced me. This is instant craft but the questions remains!Craft this golden or normal?This might be the 1st card i craft golden. Definitely good for the decks that can utilize the battlecry. 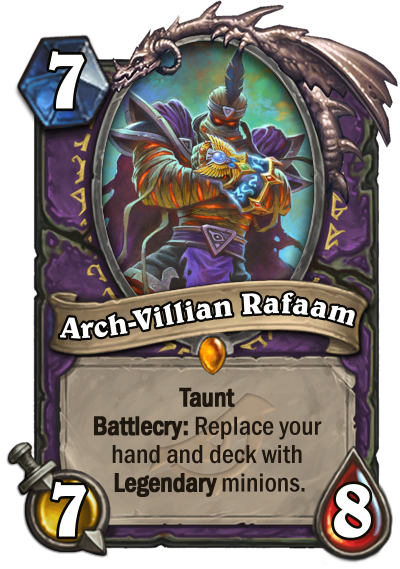 I mean a 7/8 taunt for 7 is something you think about putting in a deck to begin with. You probably don't, but you think about it. Would have been better as a neutral IMHO.